Eastridge Workforce Solutions has grown with Las Vegas over the past 40 years, enjoying the highs and lows of the ever-changing Las Vegas market. 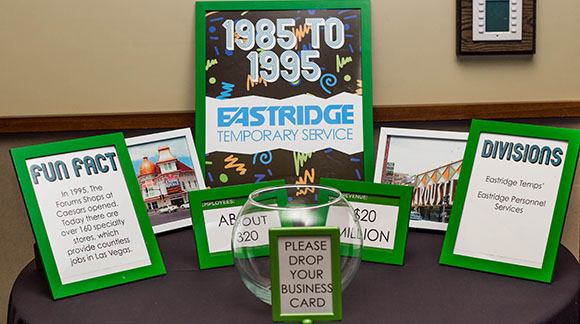 This year, Eastridge celebrated those 4 decades of success with clients and employees. 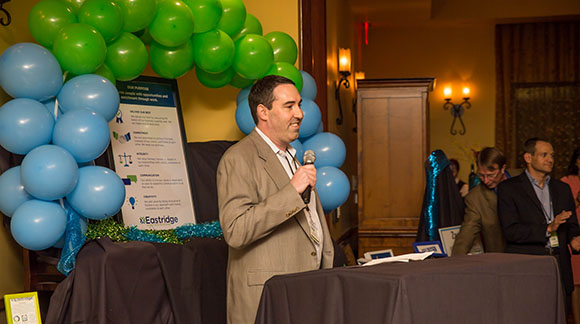 Over 40 companies from industries across the board came together on October 14th, 2015 to celebrate Eastridge’s 40th anniversary in the Las Vegas market at Panevino Restaurant. This was a unique opportunity for employees and clients to mingle and reminisce the past 40 years. Guests had an opportunity to enter a raffle for a $500 donation to a charity of their choice. 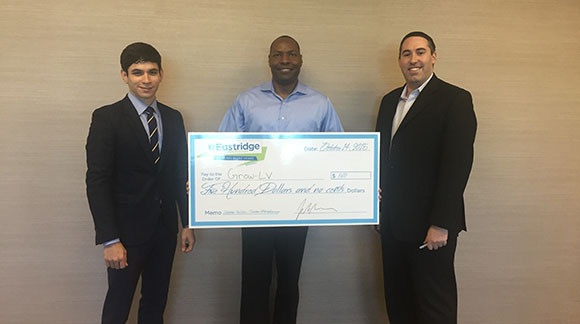 The raffle was awarded to Terrance Thornton, Director of Investor Services and Development for Las Vegas Global Economic Alliance, who chose Grow-LV as the recipient of the $500 charity donation. 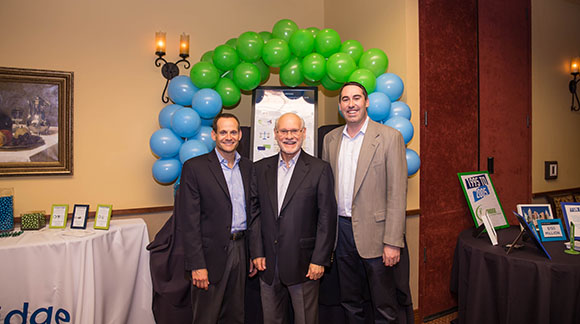 Eastridge Workforce Solutions looks forward to celebrating 40 more years in Las Vegas. Eastridge Workforce Solutions makes it easy to recruit, manage and retain a skilled workforce. Ranked in the top one percent of U.S. firms by Staffing Industry Analysts, Eastridge places 18,000 candidates each year and processes over 250,000 paychecks. Eastridge Workforce Solutions provides comprehensive workforce management, recruitment, and technology solutions worldwide, serving startups to Fortune 500 companies. Eastridge celebrated 40 years in Las Vegas at Panevino Restaurant. Decorations reflected Eastridge’s journey over the past 40 years. 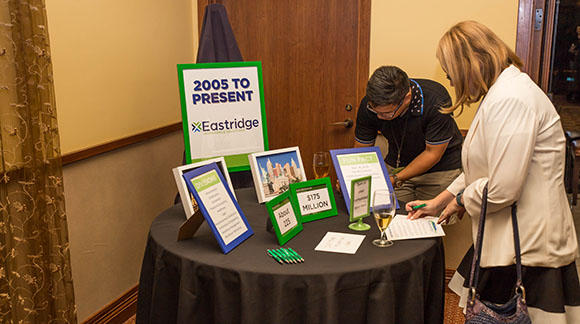 Guests were encouraged to take quizzes and learn about the history behind Eastridge. 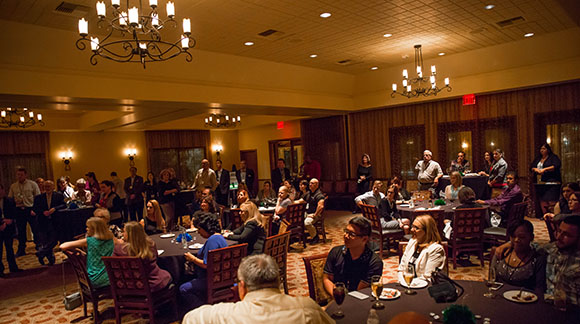 Jason Bruckman, Vice President of Workforce Recruitment in Las Vegas, welcomed guests. Terrance Thornton, Director of Investor Services and Development for LVGEA, won the raffle for a $500 charity donation and chose Grow-LV as its recipient. Members of the leadership team were in attendance: Seth Stein, Robert Svet, Jason Bruckman. 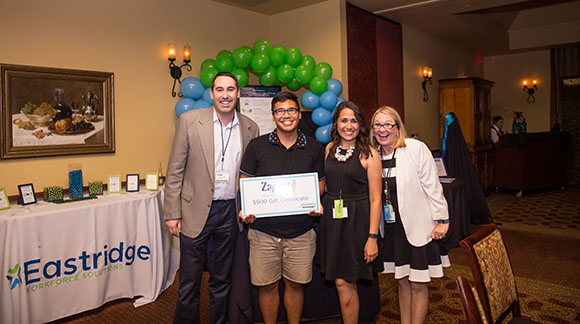 Rocky Manzon, a recruiter from Zappos, won the scavenger hunt for a $500 gift card.